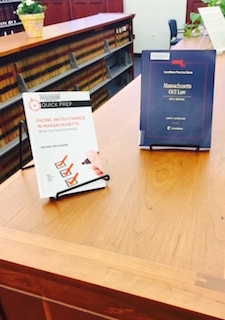 Attorney DelSignore’s book on OUI law displayed in the Plymouth Public Library. 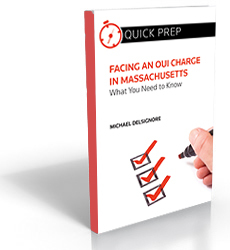 When selecting an OUI Lawyer in Massachusetts, it will often be your first time hiring a lawyer for a drunk driving charge and may be your first experience hiring a lawyer for any legal matter. 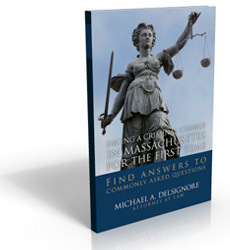 Many want to find the best Massachusetts OUI Lawyer. With so many lawyers, there is often difficulty and great confusion when hiring the right lawyer to handle your case. Most lawyers will claim to have experience handling a Massachusetts OUI/DUI arrest, but if you want to hire a lawyer whose practice is dedicated to drunk driving defense. 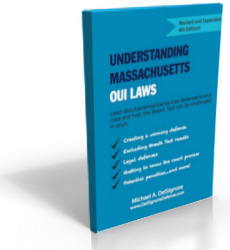 Generally speaking, if a lawyer has publications on OUI law in Massachusetts, you can rest assured knowing your case will be in good hands. 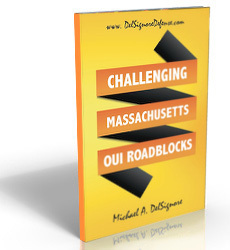 The Best OUI Lawyers in Massachusetts will have been published authors on Massachusetts drunk driving laws. Publishing a book or a chapter is an enormous commitment of time that exemplifies the lawyer’s commitment to a specific area of criminal law. 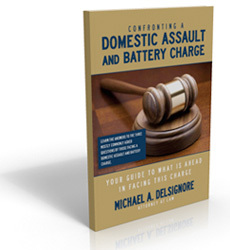 Having focused my practice on drunk driving defense, below you will find a list of publications. Some of these publications I can provide to you free of cost, while others can be purchased on Amazon.com. 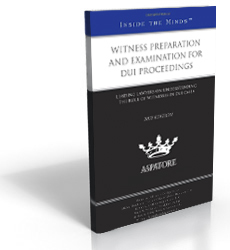 Witness Preparation and Examination in DUI Proceedings, Chapter 1, Published by Aspatore Publishing. Trends in DUI Discovery, Understand the Prosecutor’s Perspective to Build a DUI Defense Strategy. Understanding Massachusetts Drunk Driving Laws, 2nd Edition. 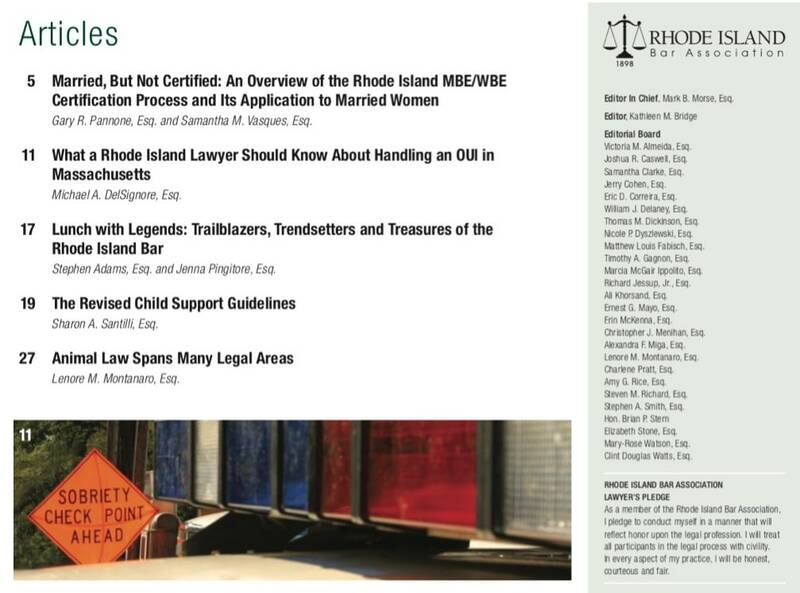 Published articles in the Attleboro Sun Chronicle, Rhode Island Bar Journal, and quoted by the Boston Herald, Boston Globe and Lawyers Weekly USA. 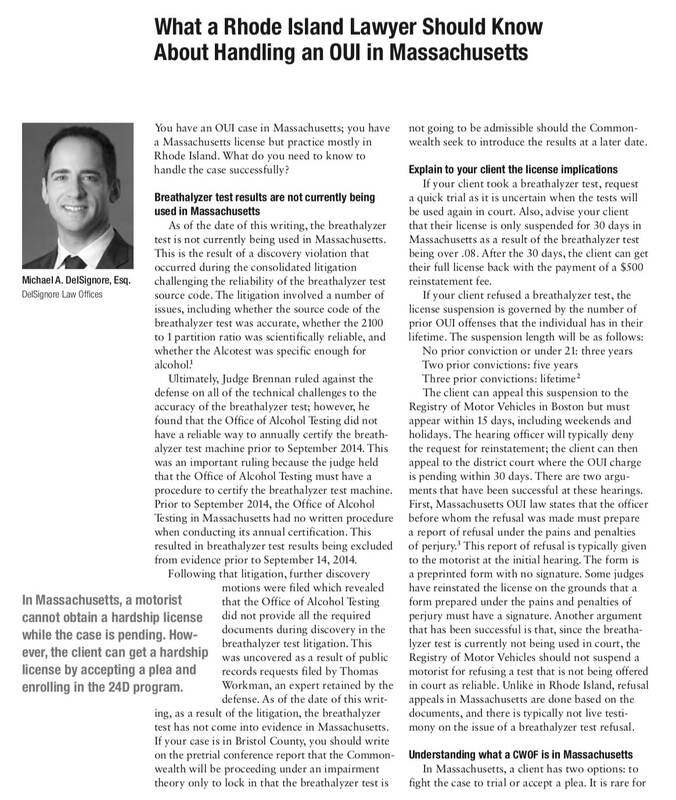 Pictured above is a segment of Attorney DelSignore’s article on handling an OUI in Massachusetts, which was published in the Rhode Island Bar Journal. 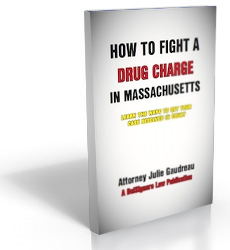 If you have any questions about Massachusetts drunk driving laws, feel free to contact me I would be happy to send you a book pertaining to your question or to discuss your question over the telephone at 781-686-5924 or 508-455-4755.